GHOST HUNTERS: Investigators Amy and Adam Talk New Season! Syfy’s paranormal reality show, GHOST HUNTERS will be returning with a new season of scary episodes starting this Wednesday, August 24 at 9pm ET/PT. "Ghost Hunters" Amy on an investigation. We talked to real-life paranormal investigators and stars of the show, Amy Bruni and Adam Berry. Amy Bruni was recruited into paranormal investigating team named TAPS (the paranormal team documented in “Ghost Hunters”) by co-founders Jason Hawes and Grant Wilson. 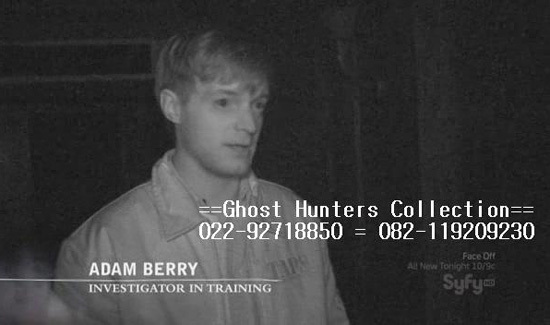 Adam Berry is the winner of “Ghost Hunters Academy” and joined the TAPS team on “Ghost Hunters” last season. Together, Amy and Adam have experienced a lot of questionable phenomenon with more to come. The “Hill View Manor” is investigated in this season’s second episode. Bruni stated it to be one of the scariest investigations she’s ever experienced. We asked Bruni and Berry what real-life experiences have terrified them more than the ghost hunting. Bruni said that “the scariest bump-in-the-night moment was we were investigating in an old jail in New Jersey. I lifted up a cover and there was another room that was a homeless man’s house”. Bruni was startled by the man and headed-out the other way. Other real-life scary incidents are during some of their travels for the show. They talked about being stranded on Mackinac Island when they discovered that they couldn’t take the ferry back. They had to fly-out on a four-seat plane. “It took like 16 trips to take all of our equipment back and forth. And that kind of stuff is scary,” stated Bruni. "Ghost Hunters" Adam on an investigation. Berry said, “a couple of months later we thought the worst of the winter was over and we were driving up to Maine to do Fort Knox and literally the drive should have taken two hours and it took us 4 1/2 hours because of the snow storm that happened.” Berry said that once they got there, they couldn’t see anything because of the blinding snow. “it’s terrifying” he said. What do they say to skeptics who chalk-up said-to-be “ghost” as something else such as past energy or time travelers? Bruni replied, “the more I do this the more I don’t know what we are encountering and I am open to those ideas. I mean if someone can prove to me that it’s some sort of time travel then thank goodness we have an explanation”. Bruni said that when she first started her investigation, which began at a very early age with her father inside their own haunted home, she said she thought the paranormal activity could be explained as souls being stuck in limbo who didn’t’ follow the light. She said, “But, the more I do it, the evidence we collect doesn’t always point in that direction.” She also believes that quantum physics will be able to explain much of the phenomena that Bruni and her team experience as well as other ghost hunters. Berry stated “until there is absolute proof of exactly what it is, all options are open. Skeptics believe it when you see it. When it happens you’ll know an you can’t always explain it”. 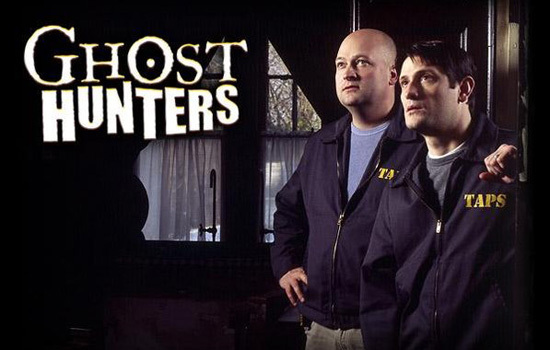 “Ghost Hunters” new season opens with an episode called “Urgent’ where they will assist a family that is being terrorized by the spirit of an elderly man inside their home. Fans of the gothic television series, “Dark Shadows” will be happy to see the investigators go to the Seaview Terrace location where the show was filmed for the first-ever investigation and the team encounters the “loudest ghostly evidence” ever. Watch “Ghost Hunters” this Wednesday August 24 on Syfy.